Shower pods have traditionally been a favourite of schools, universities and commercial accommodation such as hotels and backpacker hostels. The wide range manufactured by Advanced Showers has proven extremely popular. Their benefits are now reaching a wider audience. Gradually they are finding their way into mainstream residential and domestic builds. You may have been asked to install them in a new build and this page is intended to give you a brief introduction. What are Shower Pods and how do they work? Made from GRP, they are delivered in either two or three sections that interlock with a factory fitted gasket. The floor is part of the integral unit, which all means that they are leakproof. In fact, they come with a lifetime leakproof guarantee. You can see what is involved in assembling them in this short animation video. They are delivered on site on a call-off basis directly from our Coventry factory. Assembly is fast and straightforward. In fact, a shower pod can be installed and commissioned by just one person in under a day. Or even faster if two people are assigned to the task. Why would an Architect or Developer choose Shower Pods over tile and tray? 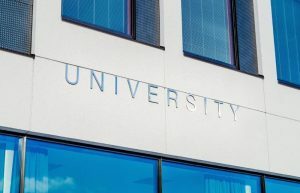 They look great and the high gloss finish lasts a lifetime without deteriorating significantly. They require zero maintenance, which, together with the leakproof guarantee, means happy users. Simple installation means less faffing around with tile and tray materials and extra tradespeople, so it reduces the risk of build delays. The wide range of styles means they suit all budgets from basic to top quality models for luxury builds. There are models in many dimensions, and pods to suit corners, alcoves and wall spaces. A bespoke option for volume orders means an architect or designer can specify a unique one-off style or dimensions to match the requirements of the build plan. We have written some guides that provide more information about shower pods from Advanced Showers, their specifications and installation requirements. 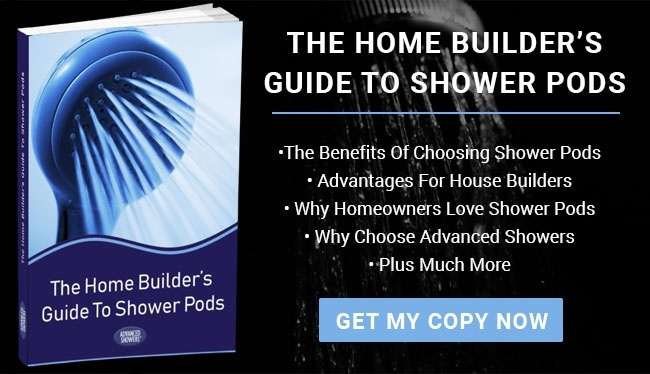 Feel free to download our Shower Pods Guide. We would also be happy to answer any technical questions you may have. Just contact us and speak with one of our installation experts.